There’s no denying it – Christopher Plummer has had a remarkable career, with even more exciting films currently in the works! 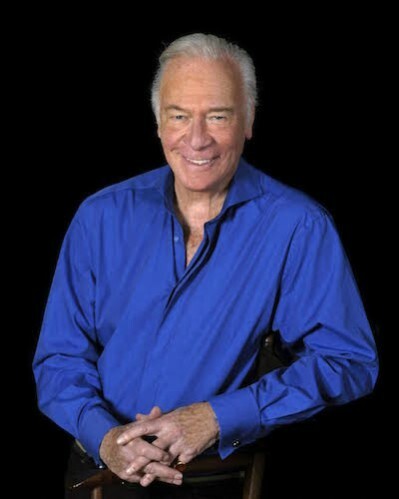 A true Canadian icon, Plummer has enjoyed almost 65 years as one of the theatre’s most respected actors, and has acted in over 100 motion pictures. A veteran of Canada’s Stratford Festival, he’s also won two Tony Awards, and an Academy Award. At this year’s Canadian Screen Awards on March 12, 2017, Christopher Plummer will be honoured with a Lifetime Achievement Award by the Academy of Canadian Cinema and Television. To celebrate Plummer’s remarkable career, here are our top 5 favourite Christopher Plummer film roles. In 2012, Christopher Plummer won an Academy Award for Best Supporting actor for Beginners. As Hal, the ailing elderly father to Ewan McGregor’s Oliver, Plummer brings heart and humour to the film. After the death of his wife, to whom he was married for 44 years, Hal comes out as gay. What follows is a hilarious and moving story about how it’s never too late to begin. Up is the story of Carl Fredericksen, who always dreamed of travelling to Paradise Falls with his wife. After her death, Carl finally decides to take off on his adventure, accidentally bringing boy scout Russel along for the ride. When Carl and Russel discover that famous explorer Charles Muntz, voiced by Plummer, is not as honourable as he seems, hilarity and adventure ensues. Up won the Academy Award for Best Animated Feature in 2010. Playing the title role of the weird and wonderful Doctor Parnassus in this Terry Gillam film, Plummer starred alongside Heath Ledger, Tom Waits and Lily Cole. Long ago, Doctor Parnassus made a deal with the devil, trading his immortality for youth, on condition that when his first-born reached her 16th birthday she would become the devil’s property. With his daughter about to turn 16, Parnassus will do anything to protect her from her impending fate. Playing the role of Leo Tolstoy, one of the greatest authors of all time, Plummer stars opposite Helen Mirren, James McAvoy and Paul Giamatti in The Last Station. A historical drama that illustrates Russian author Leo Tolstoy’s struggle to balance fame and wealth with his commitment to a life devoid of material things, Christopher Plummer was nominated for an Academy Award for his role in the film. Christopher Plummer played the role of Captain Von Trapp, a widowed father of seven children in this Turner Classic Film. Playing opposite Julie Andrews’ Maria, a free-spirited governess, Plummer sings and plays guitar in this iconic role. The film went on to win Best Picture at the 1966 Academy Awards, and has become a timeless classic loved by generations. Tune in to the Canadian Screen Awards on Sunday, March 12 at 8pm ET to see Christopher Plummer accept his lifetime achievement award.